Using DPOL one can produce ready to stitch shaped woven garment components. These components are finished at the edges by selvedge. This considerably increases fabric efficiency by approx 15%-22% and reduces lead time by approx 50%. 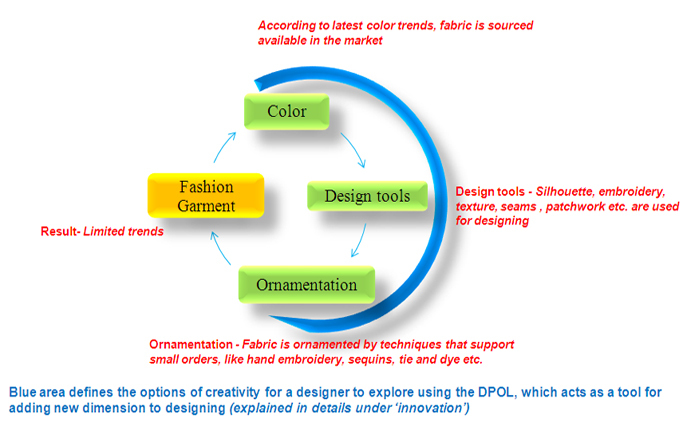 The DPOL technology can be used to manufacture high quality fashion garments with mitering and design continuity at various panels with respect to one another in a garment. The garments produced using DPOL technology depicts perfect blend of textile technology, garment engineering and fashion designing. Fabric is especially designed and manufactured for its particular end use. The garments are unique and are difficult to copy as their fabric is especially woven by the designer using particular yarns as desired, and fabric is not available in the market. 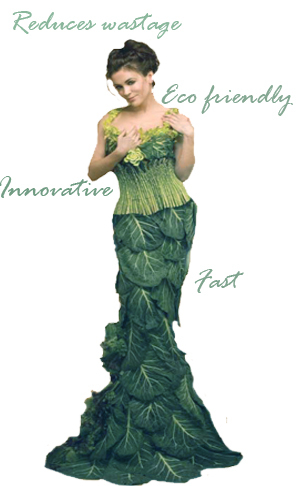 · Eco Friendly, Several fold savings saves fabric (15-22%) > saves yarn > saves dyes and chemicals > saves man-hours > saves power. · Automatic Markings, No differential Shrinkage or Shade variation. · Seamlessness and design- grain line independence.